It seems to me to be commonly agreed upon that our twenties – in early adulthood – is when we ‘find ourselves’, right? It is said as if this is inevitable.. that it is part of joining adulthood. We must first find out who we are. But what if we have to find ourselves because we spent our childhood losing ourselves? What if we don’t have to lose ourselves to begin with? It seems in our society that there is an definitiveness to losing ourselves to systems and control and expectations. To losing our individuality and curiosity. But is this an avoidable fate? I believe this process is unnecessary. I think this belief is due to schooling and mainstream parenting. The entire concept that humans when children must be controlled, forced, trained and schooled is what feeds this disconnectedness from the self. When a system is founded on standardising experiences for people, it’s clear that a result will be a loss of individuality – of self. “Far from helping students to develop into mature, self-reliant, self-motivated individuals, schools seem to do everything they can to keep youngsters in a state of chronic, almost infantile, dependency. The pervasive atmosphere of distrust, together with rules covering the most minute aspects of existence, teach students every day that they are not people of worth, and certainly not individuals capable of regulating their own behaviour.” – Alfie Kohn. Both schooling and mainstream parenting are founded in the concept of standardising – standardising and expectations with behaviours and outcomes. I think the fact that most of us as young adults had no idea who we were, is related to the fact that we were told what, when, why and how to be for our childhood! I believe this disconnection from our true selves is deeply rooted in our autonomy and rights being disrespected during our youth. If our power to be fully ourselves (and accepted for it!) is taken away, it’s obvious a byproduct will be disconnection from that individuality. When Cameron wrote his post about unschooling, I loved hearing about what our lifestyle means to him. What strikes me as powerful and beautiful is how much autonomous children are unapologetically themselves. Many adults find that triggering. Not only are they themselves, but autonomous children know their worth. They will not accept people disrespecting their rights. It takes early indoctrination and control to make humans accept that their time, thoughts, body and things aren’t their own. Autonomy is the enemy of control and expectations. Unschooled and respected children really prove to me that the opposite to their reality is what creates this process of losing oneself. These children are so fully themselves, so unashamedly individual. Their interests are so varied, so in depth, so not linear, so meaningful to their unique selves. Their self expression is again so free and individual and free from shame. We know by now what children need and deserve. We know the school system and mainstream parenting is not doing a very good job of providing it. We have all read and heard all about it, and seen the evidence. So now it is time for us to do something about it. To protect our children from this stealing of individuality. We need to show our children radical acceptance for who they are. Encourage their self expression. We need to show them what’s really important. To value them. To be an advocate for them in a world that does the opposite. “People today do not even know what children are actually like, they only know what children are like in schools” – Carol Black. 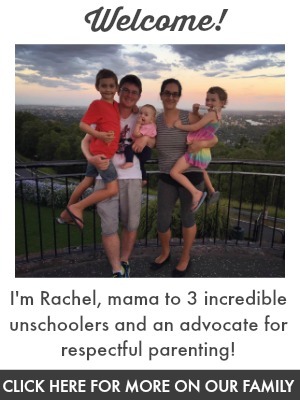 So when I’m asked what my favourite thing about unschooling is? I answer that I get to know and see my children as fully themselves. Not a version of themselves whose time, thoughts and body are not fully their own. Not a standardised version of themselves. Not a schooled version of themselves. Not a controlled version of themselves. A free, authentic, autonomous version of themselves. And I wouldn’t change that for the world! You can find us on Facebook and Instagram for more! Wow. LOVE THIS. Thanks for writing it!!! That’s an interesting concept. I’ve partially home-schooled my son and he’s been in Waldorf schools with wonderful teachers, but I feel like his exposure to peers has already indoctrinated him into the culture of “cool” and that is expressed in the way he behaves sometimes. I just don’t feel like it’s really him being authentic, but I don’t know how to “undo” it. We’re homeschooling again this year and I’m trying to make a long term commitment to it. Hopefully, in time, he can feel comfortable being himself completely again. Thank you, this was very insightful! This is really making me considering to unshool my kids. I am still struggling to find myself. I wonder how my life could have been if I didn’t had to go through the school system. Thanks!! !